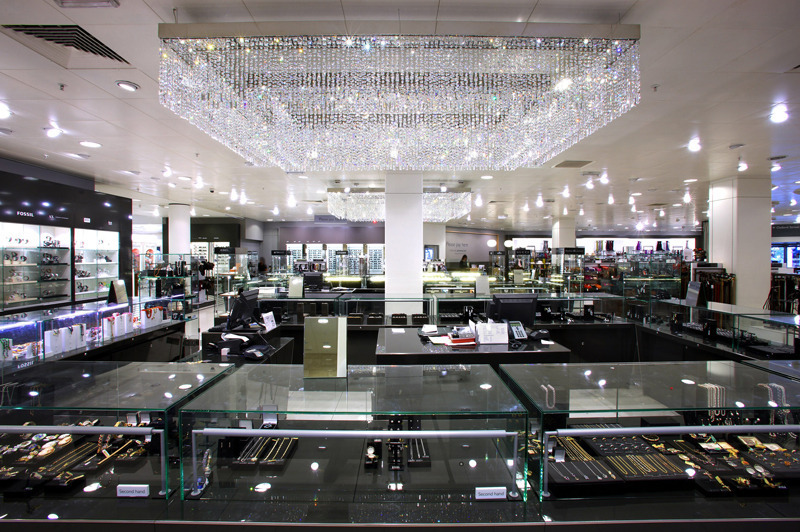 John Lewis is the leading department store chain in the UK. 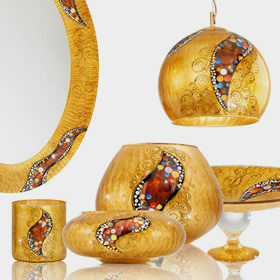 Over 30 stores nationwide offer the world’s leading brands. 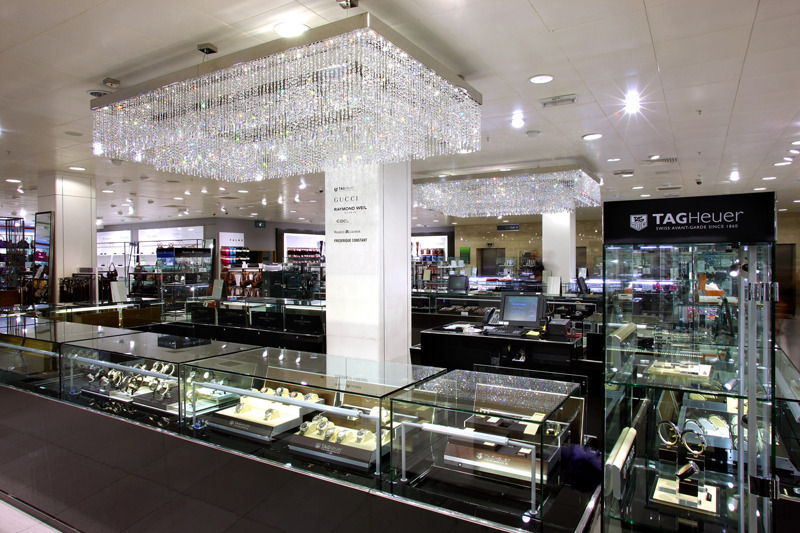 Two new sections have recently been created to provide a wider choice in ‘Fine jewellery’ and ‘Luxury Watches’, as well as a re-design of the lingerie departments. 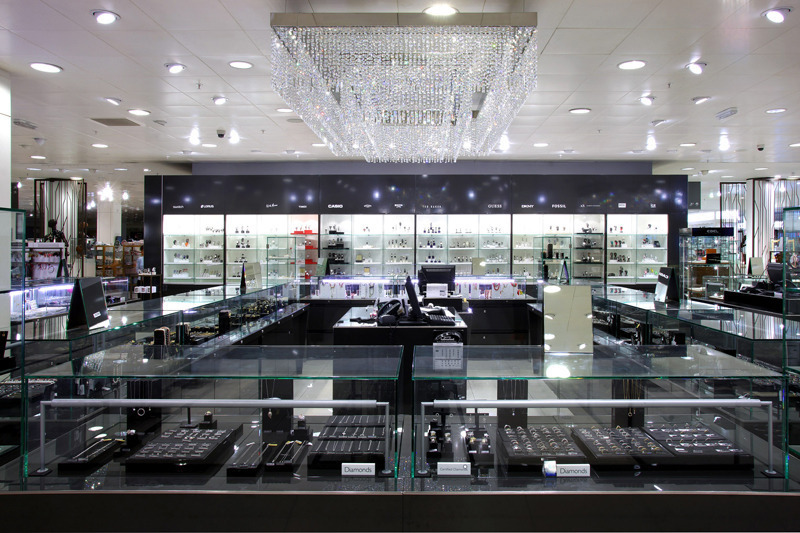 KOLARZ® was commissioned to supply the specially designed lighting features for these departments. 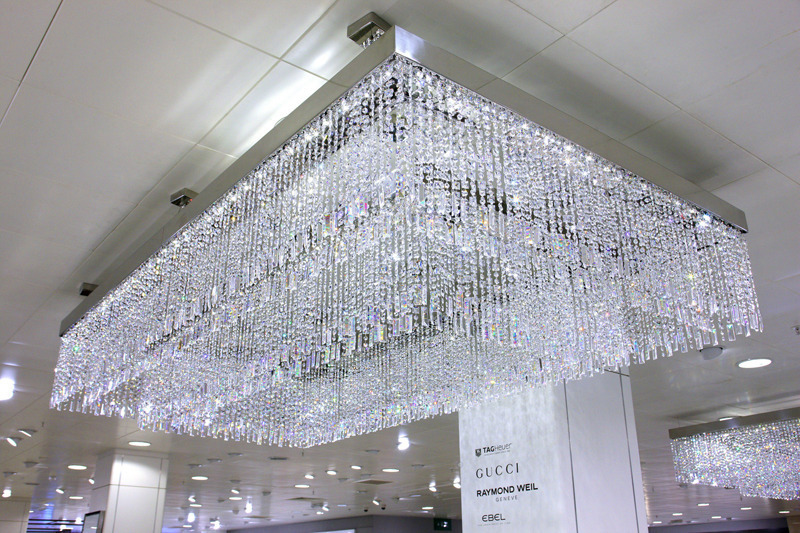 For the ‘Fine Jewellery’ and ‘Luxury watches’ departments, a lighting structure was created to draw attention to these new departments, with over 8000 sparkling KOLARZ crystals on each structure. 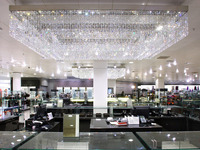 Each structure uses 200 LED’s to provide a subtle light level, low maintenance and cost efficiency. 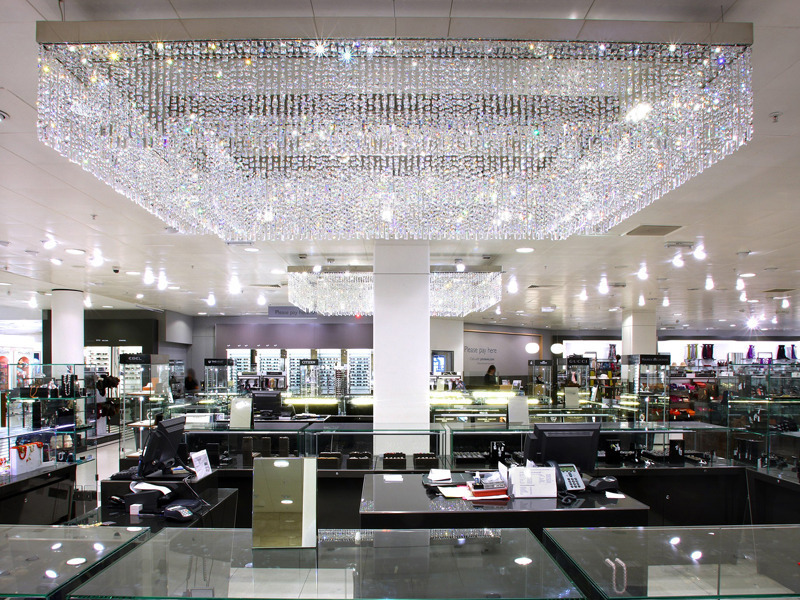 The flagship store in London’s Oxford Street features two double-frame designs at varying levels, creating shimmering reflections, movement and illusion effects. 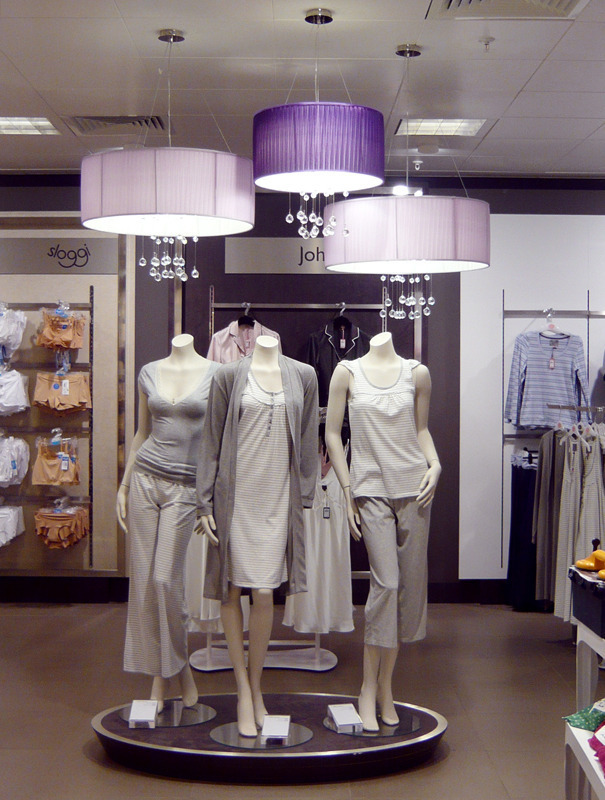 For the lingerie and fashion advice departments, a contemporary classic style has been used to create warm, sensual mood lighting, which brings out the full beauty of the products on display. 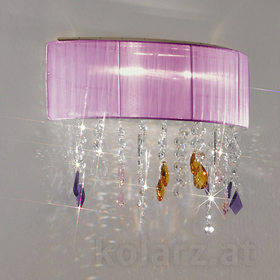 Organza shades with suspended KOLARZ crystals, which appear to be floating below, present understated decoration and style.